After having had a hectic week at work plus various family problems to deal with i was eager to get back on to the bank and forget everything , hopefully i could catch some fish as well . I had decided on a trip to Partridge lakes as i hadn’t been here on a weekend match for quite some time and i was really looking forward to it although the fishing everywhere had taken a turn for the worse , maybe it was the change in the weather recently because it had been a bit inconsistent to say the least and today we was faced with a drop in temperature , grey skies with rain forecast and a light breeze blowing towards the direction of Holbar lake . When i arrived at the venue there didn’t seem to be many people knocking about which was strange as the open matches are usually really well attended but I’m sure there will be a few on it and as it turned out we had nearly sixty fishing with plenty of anglers turning up late , coveys 1-5 will be in the draw bag and as it turned out my home for the day would be peg four on covey one somewhere i haven’t been on that much but i knew how best to fish it because i had seen some one catch really well on it from the edge but as usual i had my own idea on how to get the best from my peg although it didn’t really work out that way , well a third of my plan didn’t as you will find out later . 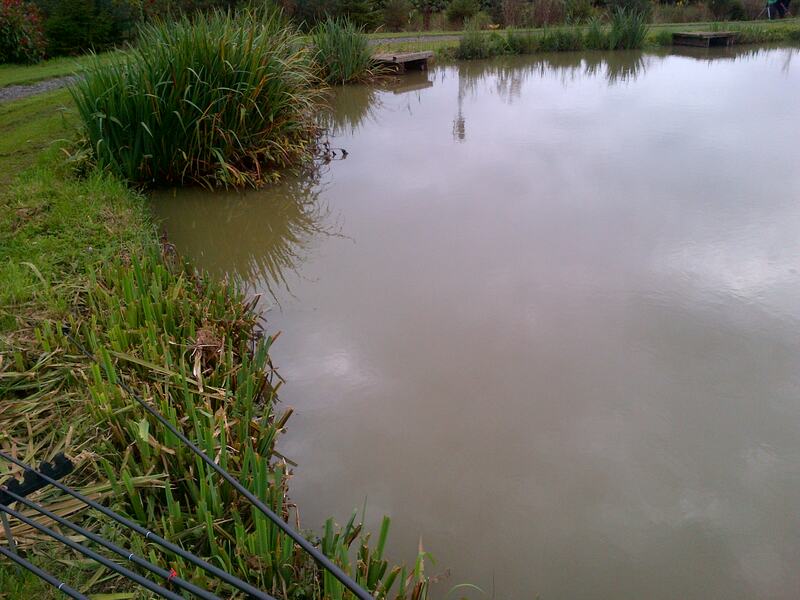 After having watched the recent Winning Pegs dvd which was filmed on covey four i had decided on a pellet attack across in 3 ft of water where i had heard was the best depth to start at and it was also doing really well last weekend on here , my other tactics were ground-bait in the margin , also flicking maggots towards the left hand reeds which were 11 m away , there was a bit of breeze blowing in to it and when i had walked round before the match there was plenty of fish in front of the platforms on all coveys so it looked promising . 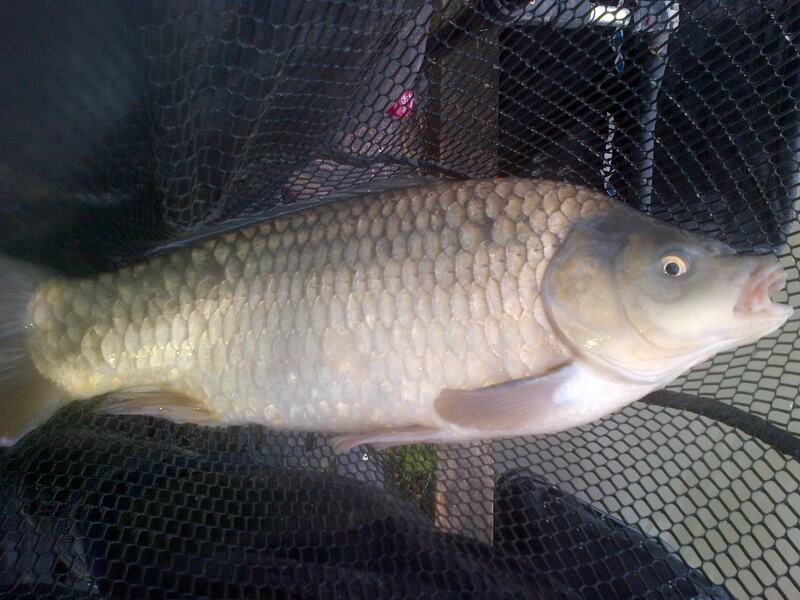 3 ft pellet across and was also used for fishing maggots towards the reeds as it was only three-inch deeper , my float was a 0.2 scone float with 0.12 garbo line and 0.10 hook length which had a size 20 gamma pellet hook the shotting pattern was a spread bulk of size ten stotz spread an inch apart , elastic was size 12 red matrix . Margin rig was the one i had used at Sycamore fishery and it turned out to be a big mistake because it wasn’t strong enough for the big carp in covey one , my main line was 0.14 garbo with a 0.12 hook length which had a size 18 guru lwg the float was a malmams diamond 0.3 and elastic was Preston 12 duro . 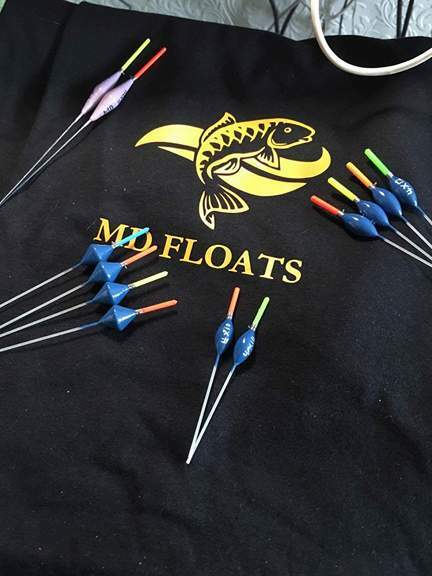 When the all in sounded i went across to my far bank pellet line , tapped in a pinch of micros and slowly lowered my 4mm expander in amongst it , a couple of lift drops resulted in only minimal indications and nothing worth lifting into and i always tend to struggle at the start of a match getting the fish feeding in my peg this is something i need to work at in the coming weeks . After five minutes i shipped back in re-filled the kinder pot with micros , after tapping this out on my 3ft line resulted in a little dink on the float which i connected with and the first f1 of hopefully many made its way to the net although it was hooked in the fin . I was getting indications all the time on the float but they didn’t seem to be happy there and this was proved to me when i foul hooked another only this time it came off at the net , i decided to set up another pellet line further to the right but yet again i was getting indications on the float but nothing positive and after the first hour i only had the solitary f1 in the net not the start i was looking for but the other anglers in my section seemed to be in the same boat . I had been continually flicking maggots towards the reeds to my left since the match started and i felt the time was right to give it a try , i finally managed to get a run of f1s from here but i needed to change my elastic to orange 10 matrix as i bumped a couple off on the way in , i began kinder potting the maggots in as i wanted to concentrate them on the bottom where they would be easier to catch but because my bait was beginning to caster it was bringing them up on to all levels and a change of shotting pattern to on the drop was in order which brought a couple of extra fish . My run off f1s coincided with the heavens opening and lasted about ninety minutes , when the rain stopped so did the bites so maybe they had backed off into the reed bed for cover from the elements ? 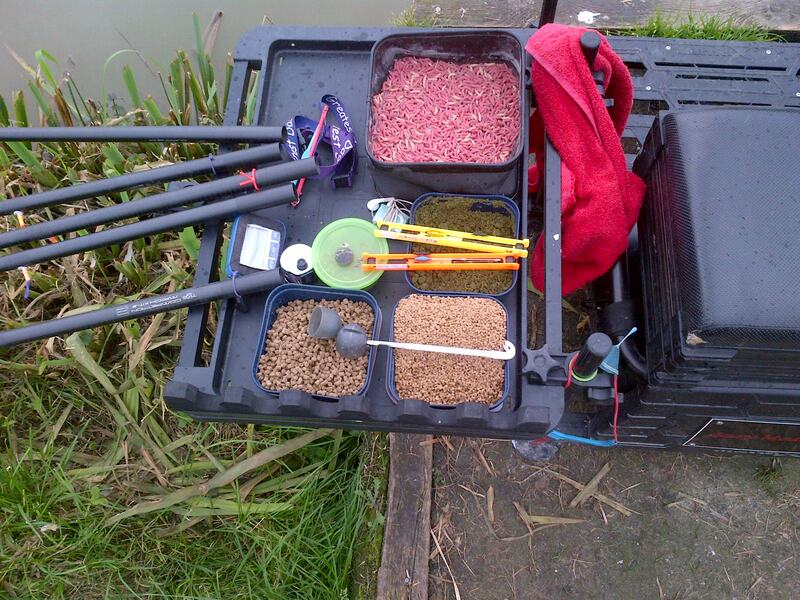 We was now approaching the final two hours of the match so i decided to start feeding my left hand margin swim with ground-bait so i put in three pot fulls in and while i waited for it to settle so i tried my right hand margin but decided to take it easy with the feed , i began kinder potting in a few micros before dropping my 4mm expander in among it but yet again i was getting all sorts of indications on the float but no real bites , it seemed that the fish were getting attracted to the feed but didn’t want to eat the pellets this was proved when i decided on the spur of the moment to try maggots on the hook and the float buried instantly with a big f1 on the end it was the biggest that i had caught from Partridge lakes with it being well over the 4lb mark . With no more fish coming from this line i decided to go onto my ground-bait line and i had indications from the start , but i had made the mistake of putting my feed in to far away from the grass bank in the slightly deeper water because i felt that with it being a touch colder plus the recent rain the fish wouldn’t come in so close to the bank . 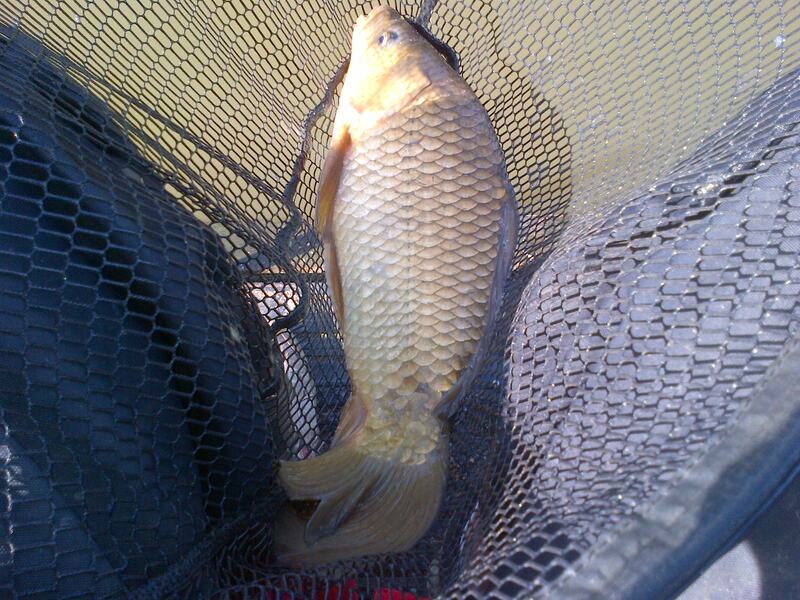 I Was wrong though as i started losing big carp after big carp which were obviously foul hooked , i did get the odd one in but they was taking an age to play on 12 duro and when i pulled a bit too hard on my side pulla it broke my 0.12 hook length . I should have changed my rig + elastic then to a heavier grade but instead i just put on a 0.14 hook length with a size 16 guru lwg hook , this didn’t solve the playing fish problems but by altering the depth of my rig and bringing it right up to the bank this stopped the foul hooking. I began catching some big carp along with some nice ide and just when i started getting among the fish when the whistle went , i couldn’t believe that i had known how to get the best out of my peg but decided to do my thing and i had blown another chance of at least winning my section . Stupid decisions had cost me again but you live and learn i will just have to put it down to experience , in the end my 16 fish went 36lb with only 62lb winning the section and i lost enough big carp to get that easily and that man Andy Bennett won yet again catching 99lb from covey five with the second coming off covey three with 96lb so not the best of weights for on here but i think it’s just the time of year , i will be looking forward to fishing this peg again to hopefully right a few wrongs and will be back at Partridge lakes for another go next weekend . 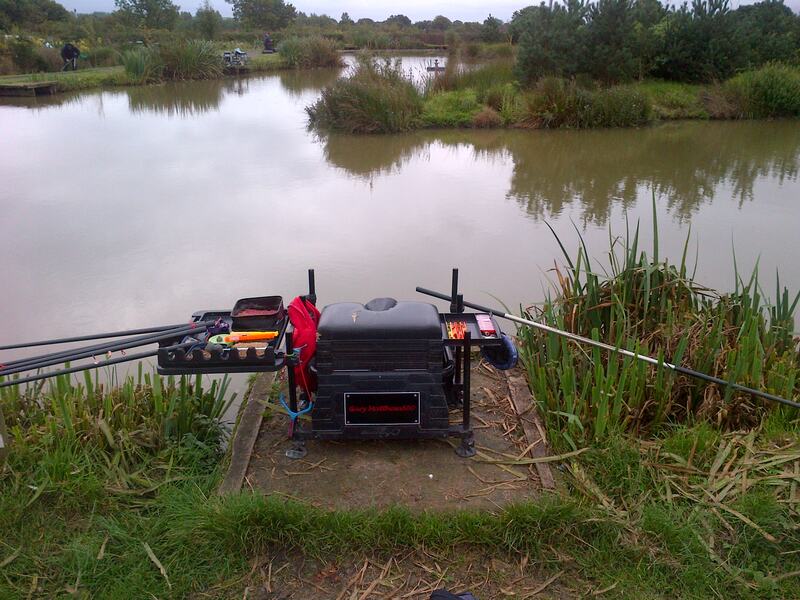 This entry was posted in covey one, PARTRIDGE LAKES COVEY, PARTRIDGE LAKES OPEN MATCH and tagged Carp, Common carp, covey, f1 fishing, Fishing bait, gamma pellet hook, garbo line, Maggot, matrix 10 elastic, matthews580, Mirror carp, Partridge lakes, Recreation, Scone float. Bookmark the permalink. Great report mate and very interesting. 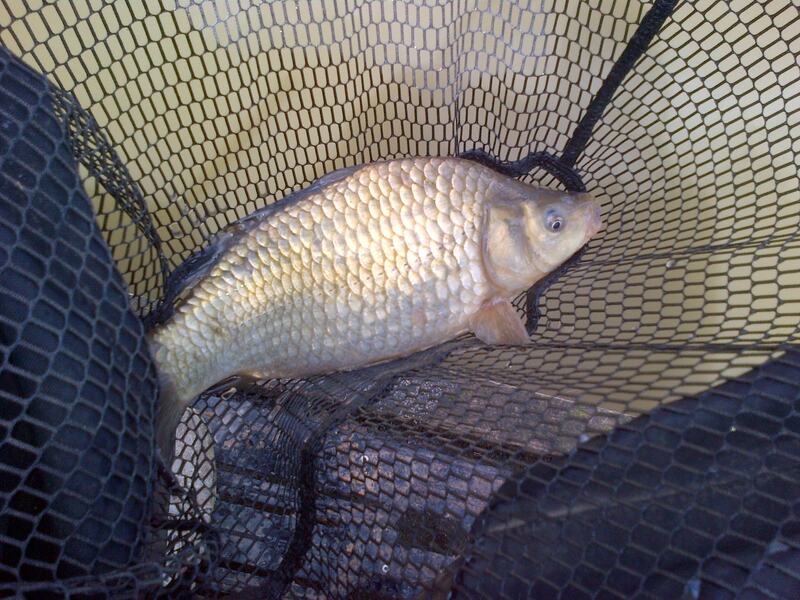 TBH I wont be looking at 3ft depth till the winter at least, as there still shallower than that at the moment. Have you tried fishing mag short and shallow, I’ll be on the mag if I go Sunday with pellet across, as I cant seem to catch a cold in the margins there…. Hoping to get on there Sunday as now finished our Summer League, so nowt now till the Winter League starts – both Club and were looking to enter a Team in the Partridge League this year. 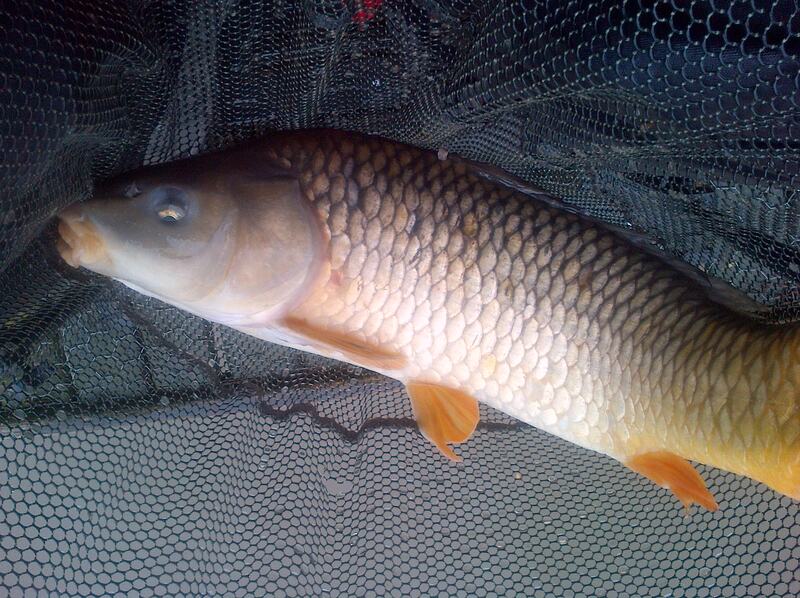 Not sure that pellet is working that well on their at the moment or it might just be the depth that I am fishing it . Their didn’t seem to be many people catching shallow on covey one on sat and most people caught in the margins , will be going again on sat for another try . I had heard that leigh tackle aren’t doing a winter league might be wrong though .